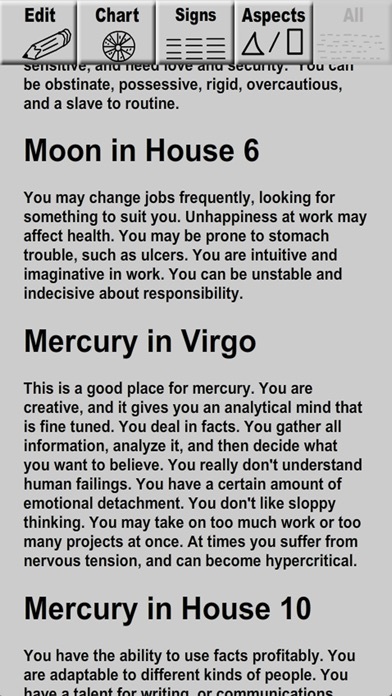 Shows your personality from the calculated planets, houses and aspects from the time and place you were born. 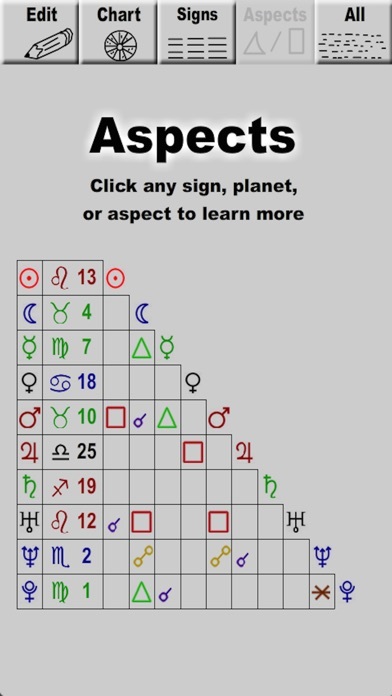 You can click any Planet, Sign, Aspect or House symbol and it will tell you the personality trait that associates with that portion. 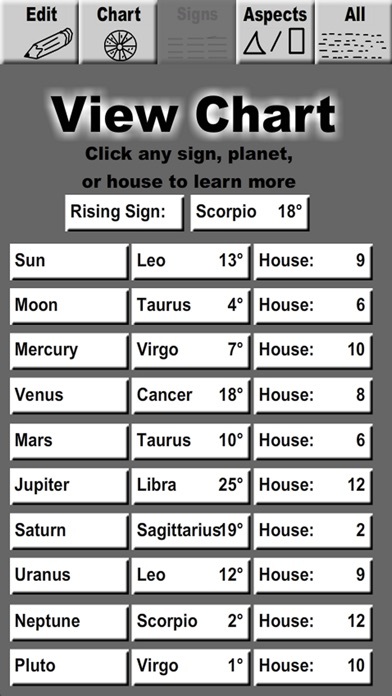 What signs and houses the planets where in as clickable text buttons. 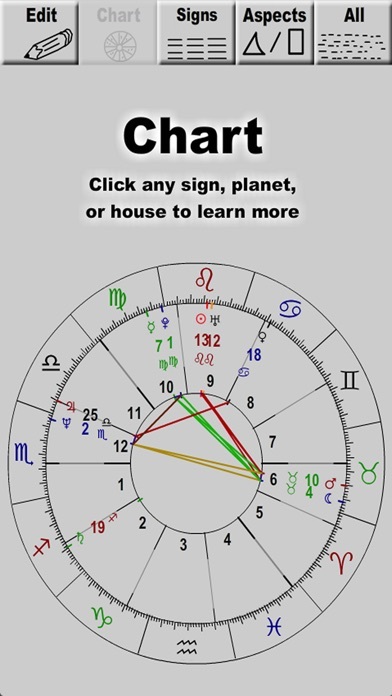 and a long in depth description of the entire chart in an easy to read format.